Peruvian miner Minsur has secured US$900mn in project financing for its Mina Justa copper mine. The lenders come from across the world, with over a dozen commercial and development banks joining a group of export credit agencies (ECAs) from countries with strong mining industries. The lenders are: BBVA Continental, BBVA, Banco de Crédito del Perú, Crédit Agricole, Export Development Canada (EDC), Export Finance and Insurance Corporation (EFIC, the Australian ECA), ING, KfW Ipex-Bank, Natixis, SG Americas Securities, Société Générale and the Export Import Bank of Korea (Kexim). Law firm Sullivan and Cromwell represented the borrower, Marcobre SAC, a subsidiary of Minsur, one of the world’s largest tin miners. Mina Justa is set to produce 100,000 tonnes of copper a year when it comes online in 2020. Total project cost is expected to run to US$1.77bn, with Minsur providing the rest of the capital. 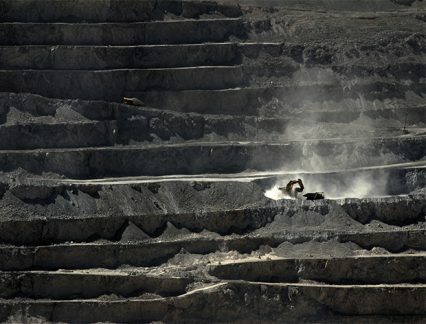 The mine will be located in the district of Marcona, which is in the Nazca province, in the Ica region of Peru. The deal represents the first greenfield mine project financing to sign in Latin America this year, according to Sullivan and Cromwell. It comes just months after Minsur sold a 40% stake in the project to Alxar Internacional, a subsidiary of Chilean company Empresas Copec, for US$200mn. Kexim, the Korean ECA, is to finance US$200mn of the debt from its own book, with Korean-Japanese consortium LS-Nikko Copper purchasing 30% of the copper output for the next 10 years. Kexim has been growing its presence in Latin America in recent years in a bid to solidify South Korea’s supply of raw minerals. In 2015, it signed onlending deals worth US$3.2bn with five banks in Brazil, Chile and Peru. This followed a state visit by former Korean president Park Geun-hye in the same year, which saw a range of investment deals signed. The most high-profile deal was a US$13bn agreement between the Peruvian energy ministry and Kexim to collaborate on a petrochemical complex.